Prince of Persia Warrior Within for Blackberry | BlackBerry Blast! 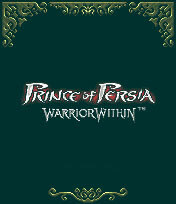 Escape on your Blackberry with The Prince of Persia Warrior Within. The Prince embarks on a pirate ship for a mysterious and perilous voyage to defy his fate, going to the place where the Sands of Time were born and finding a way to travel through time and prevent them from being created. His quest leads him into ancient, accursed palaces that conceal the ancestral fears of the human race.